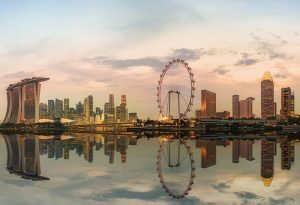 K2 University is launching a new education program in Singapore to provide workers with high-demand SAP skills. The course, Become a Certified SAP Functional Consultant, has won accreditation from Critical Infocomm Technology Resource Programme Plus (CITREP+). CITREP+ is a Singapore government-funded program to help local professionals keep pace with technology shifts through continuous and proactive training and offers up to 70% of the net payable course and certification fees for students taking accredited courses. Become a Certified SAP Functional Consultant will give professionals wanting to retrain or advance their careers in a technology field the opportunity to become SAP Certified professionals. Once certified, K2 University’s unique end-to-end service will introduce them to our client base, including leading System Integrators and end clients in SAP’s ecosystem.